14+ Show, under 16 must be accompanied by an authorised adult, (25+)! 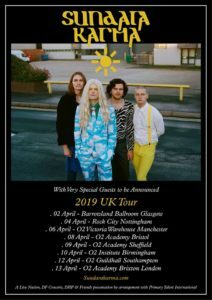 Well use be selling more tickets closer to the Sundara Karma concert? Do you know the stage times for this event? Who is supporting?